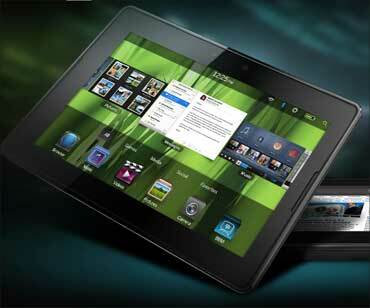 There are at least five big brands in the market that are selling tablet PCs. Here's what you should keep in mind while on tablet shopping. Iconia, which has both Android and Windows tablet PCs, should make a definite impact with at least the Windows fan base. Acer W500 runs on the Windows 7 platform and will suit those who can't think of abandoning a physical QWERTY keyboard in favour of a virtual one (Iconia W500 supports a detachable keyboard). Acer's W500 is correctly called a hybrid tablet with a 10.1-inch tablet based on a 1GHz AMD C-50 processor, 2GB of DDR3 ram and a 32GB SSD and 1.3-megapixel camera (front and rear). It also comes with a keyboard dock that allows you to use it as a netbook. Acer has deployed its multi-touch interface that can be accessed by placing all five fingers on the screen. The fact that Acer Iconia Tab W500 comes with Windows 7 Home Premium means that you can use almost all desktop applications -- VLC player, Microsoft Word, Excel or security programmes like McAfee AntiVirus. The device also supports Java and Flash. Though Windows 7 is not even close to what Apple's iOS and Android tablet OS feel like, control and navigation becomes easy when combined with a keyboard. There's a set of speakers at the rear of the tablet that deliver better output than other tablets. Verdict: If you like the idea of having an attached keyboard on a compact Windows PC, you may want to look into getting the Iconia Tab W500. Image: Acer Iconia Dual Screen notebook and Iconia Tab W500. If you have already experienced the Android platform on a smartphone then Samsung's Galaxy Tab would be a logical upgrade. You can choose Tab with either a 7-inch, 8.9-inch or even a 10.1-inch screen. The 7-inch device has a distinct appeal for users who would like to use it for entertainment or media consumption. The Korean manufacturer's 10-inch, powered by 1GHz dual-core processor, renders better results than Apple iPad 2. And the new Android operating system -- the Honeycomb -- makes it a dexterous tablet. It also supports Flash video. Video calls are facilitated with a 3-megapixel rear-facing camera, 1080p high-definition video recording, front-facing 2-megapixel camera and onboard Google Talk Video Chat. Samsung bundles a full version QuickOffice HD for viewing and editing documents. Samsung provides over 200,000 apps in the Android Marketplace. A capable product for those who would like to consume content on the go. BlackBerry users will love this device because it allows access to the web, videos, etc, using the same data plan that your smartphone uses. For non-BlackBerry users PlayBook can still be used via a Wi-Fi connection. Lack of support for e-mail, contacts, calendar applications and cellular internet option, is PlayBook's biggest drawback. It would be safe to assume that PlayBook attaches itself to the enterprise user through the BlackBerry, inheriting all of BlackBerry's legendary security and control. In case the device is lost or is shared between users, the data remains secured with the cloud services. We couldn't find faults in the PlayBook's platform, called QNX during browsing and multi-tasking. 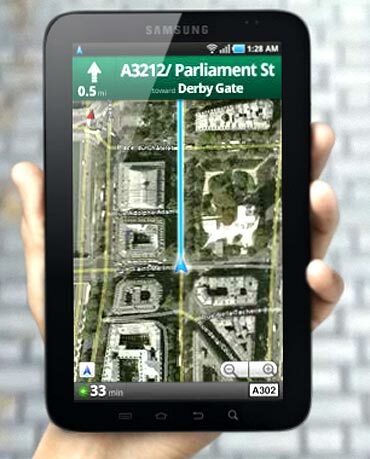 The dual-core processor and a 7-inch display enhance PlayBook's appeal. You can download pages quickly and manage multiple tabs in a neat drop-down menu. The PlayBook can display Flash animations and also has a 1080p micro HDMI output. In addition, a 5-megapixel camera on the back and a 3-megapixel camera on the front make videocon-ferencing a crisp affair. Verdict: The device is a joy for internet addicts and provides better surfing experiences from others. 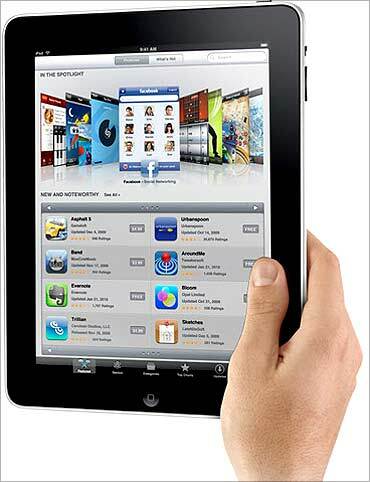 You can use the Apple iPad 2 as your secondary PC, while travelling or sending an email or experimenting with the millions of apps on the Apple app store. The reason why iPad cannot be your primary PC is because even after you get your iPad up and running, there are basic functions that will require you to have another computer. Syncing with iTunes to back up your data is one example. After replacing the A4 chip of iPad with the new and improved A5 with 512 MB RAM, iPad 2 is on a par with the iPhone 4 -- the apps load and execute faster. There's no comparison to iPad's email app that comes with a split-screen view and expansive onscreen keyboard. With the upgrade to a dual core processor and the addition of Apple multimedia apps like iMovie and GarageBand for the iPad 2, the device is expanding beyond a consumption device and becoming more of a creation device -- at least in multimedia creation (audio, video, podcasts, etc.). Verdict: This is generally a fantastic piece of equipment, especially for multimedia junkies and Apple fans, who can invest in iPad 2 without any apprehensions. From a Mumbai chawl to the Forbes rich list! New airline fuel is here: Used cooking oil! India now has 153,000 millionaires!